The Bipartisan Budget Act of 2018 passed by Congress and signed into law by President Trump on February 9 sustains funding for federal healthcare quality efforts and NQF’s work through 2019. The Act uses a combination of newly authorized funds and unspent funds dedicated to advance quality, improve care, and reduce costs. 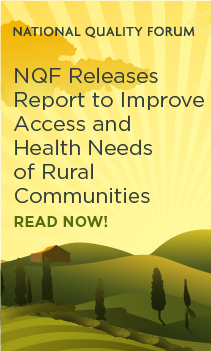 Previous authorizations funded NQF at $30 million annually. More than 130 organizations, including those representing the majority of the nation’s physicians, voiced their support for the critically important role of meaningful and fair quality measures to ensure safe and good healthcare for the nation’s 58 million Medicare beneficiaries. These organizations were led in their efforts as the Friends of NQF by Chip Kahn, president and CEO of the Federation of American Hospitals, and Debra Ness, president of the National Partnership for Women & Families. Both the Friends of NQF and NQF’s Board of Directors helped to make a compelling case for NQF on Capitol Hill.